6 YRS Foshan Carro Electrical Co., Ltd.
Q: Are you a factory manufacturer9 A: Yes we are manufacturer with 10 years experience in this industry and supplied many famous brands with good quality and hot sale products. Q:What is your minimum order quantity (MOQ)9 A:As a standard policy, we accept MOQ of 1000sets, and mixed items available, it still needs to confirm with our sales according to different product lines. Q: The fan not working9 A:Check the cable is connected or not,or the batteries are empty;if the batteries are empty, connect the AC adapter to power. 10 YRS Guangzhou Senbi Home Electrical Appliances Co., Ltd. Solar Air Conditioners, Solar Fridges,Hybrid Solar A/C, Portatable solar air conditioners Factory 4USUNNY has a vision to protect the environment with lower energy consumption while putting more money back in your pocket. To develop solar air conditioners technology and produce hybrid solar a/c,on-grid solar air conditioning and solar freezers, solar refrigerators and solar fans ; that provides lower cost living to peoples. New solar energy storage product launch Portable Power Solution in a container brought to you by 4USUNNY . 5 YRS Shanghai Fusuo Energy Technology Co., Ltd.
3 YRS Zhuji Dongrui Mechanical & Electrical Ventilation Co., Ltd.
7 YRS Taizhou Weiye Electrical Co., Ltd.
5 YRS Foshan Shunde Sunco Electric Appliances Co., Ltd.
&hearts;Adopt 56 inch leafage, the fan's power is about 30W, and wind power is very strong. &hearts;The color box is firm and can be used to protect the fan . &hearts;Be protected automatically when the fan is connected reversely. 2 YRS Shenzhen Ai Niya Electrical Technology Co., Ltd.
2 YRS Shenzhen CHL Industries Co., Ltd.
1 YRS Ningbo Longwell Electric Technology Co., Ltd.
Our company &lsquo; s strength s are in producing new technology coupled with large production capacity. And we welcome OEM products and are able to develop products according to your raw material requirements. Our products ship regularly to Europe ,North and South America ,and Southeast Asia. 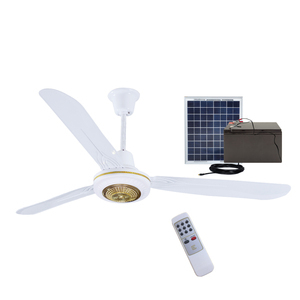 1 YRS Ningbo Longwell Electric Appliances Co., Ltd.
Egypt 56 inch 12v metal home solar low watt ceiling fan for home use An innovative product to cool you down even when there is a power cut. Charge it and use it when there is a power failure or you can operate by AC power directly when there is electricity. Type Egypt 56 inch 12v metal home solar low watt ceiling fan for home use Model UNI-335-56 Speed of setting 3 speeds, Low/Med/High Power 36W Current 3A Oscillation 360 degree NO. 12 YRS Boxin Solar Co., Ltd.
2. 12-15 days after confirm your order and receive your payment. We HXH do not responsible for any custom duty or import tax. P, And we will report to the Express and ask for refund. We apply good quality materials, introduce advanced manufacture and test equipments and carry out strict quality control system to ensure each solar product from Blue is qualified. For problematic items, We are ready to exchange them or replace them with an equivalent upon ,our receipt of previous. We also have our professional QC Department, we will take the sample to check again before the shipment, try our best to control the ratio of the reject lowest. stand fan parts solar water cooler ceiling mist fan Packaging & Shipping Contact information: Contact Person: Ms Pennie Pan T M : cn1516699489bmmu TEL : +86 15899816903 Q Q : 1409232877 Welcome to contact us to get more details of our products ! ! We have an export container terminal and customs house available in town. A wide variety of products with different specifications and standards are available. The aim of our company is to produce premium quality products to obtain a prestigious reputation in the market. 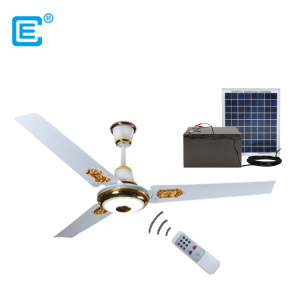 5 YRS Foshan Harvest Electric Co., Ltd.
8 YRS Foshan Lisheng Electrical Appliance Co., Ltd.
5 YRS Jiaxing Cowin Electric Appliances Co., Ltd.
2.Since it's powered by the sun's energy, a solar attic fan will cost you nothing apart from your investment up front. 2 to 3 weeks for a MOQ, 3 to 4 weeks for a 20ft container order, 4 to 5 weeks for a 40ft container order. 3277 Zhongshan West Road, Jiaxing City, Zhejiang Province, China Contact name: Carrie Zeng Phone: +86-15757303660 . 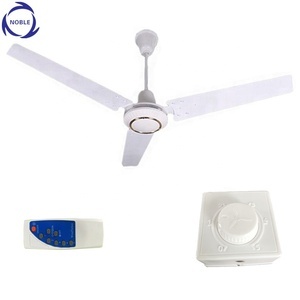 Alibaba.com offers 1,797 solar ceiling fan products. About 55% of these are fans, 1% are ceiling fans, and 1% are inverters & converters. 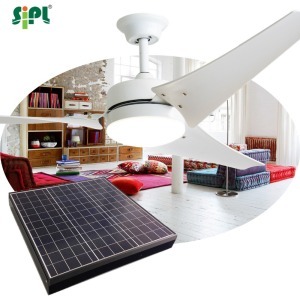 A wide variety of solar ceiling fan options are available to you, such as ce, cb, and rohs. You can also choose from air cooling fan, emergency fan, and ventilation fan. As well as from ceiling, table, and floor. And whether solar ceiling fan is plastic, metal, or stainless steel. 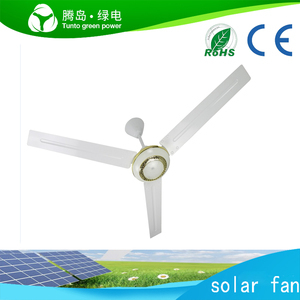 There are 1,797 solar ceiling fan suppliers, mainly located in Asia. 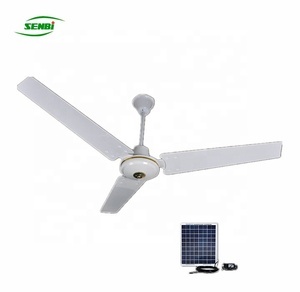 The top supplying country is China (Mainland), which supply 100% of solar ceiling fan respectively. 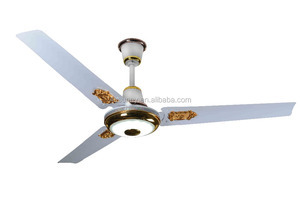 Solar ceiling fan products are most popular in Mid East, Africa, and North America. You can ensure product safety by selecting from certified suppliers, including 1,097 with ISO9001, 329 with Other, and 28 with ISO14001 certification.